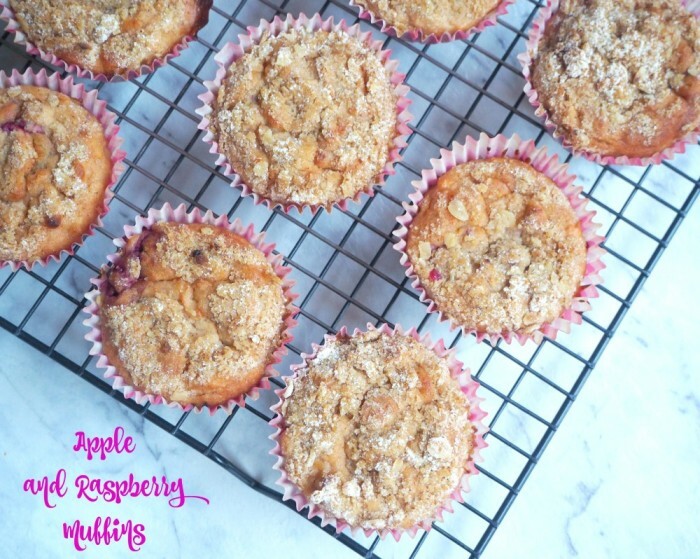 I’m mad about muffins, and these ones are no exception. 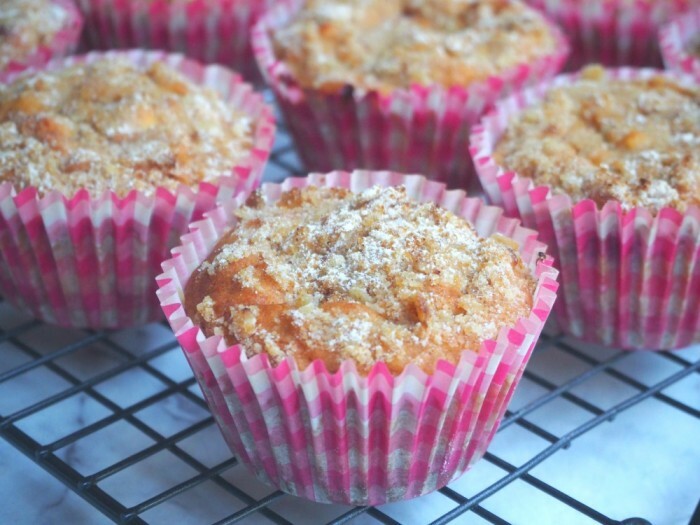 This recipe uses yoghurt in the muffin batter, and yoghurt is one of my all time favourite baking ingredients. Chuck in some grated apple and raspberry and the result is a super light, exceptionally tasty and uber moist (…there, I said it!) muffin. I’ve updated the recipe with a Thermomix conversion, although these are an absolute doddle to make even with a bowl and a spoon! 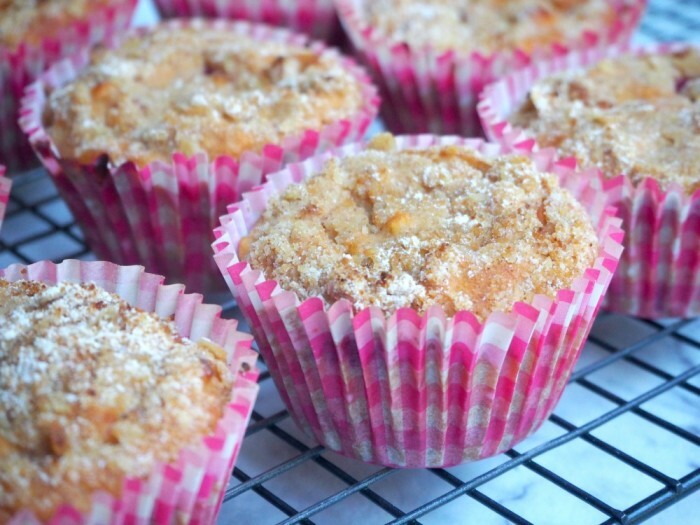 The thing I love about these muffins is that they’re not loaded with sugar so they’re a great breakfast-on-the-go. However, it would be a crime against baking to limit these only to breakfast, they go great any time of day! Preheat oven to 220C / 180C fan-forced. Line a 12-hole muffin pan with paper cases. Mix the flour, oat, cinnamon and sugar into a bowl. Set 3 tablespoons of the oat mixture aside. Stir in the apples, eggs, yoghurt, raspberries and oil into the dry ingredients until just combined. Remember lumpy mixture makes the best muffins. Using an ice cream scoop, transfer the mixture into the prepared cases. Sprinkle with reserved oat mixture. Bake for 5 minutes at 200C/180C fan-forced and then reduce the temperature to 180C/160C fan-forced. Cook for a further 20 minutes, until a skewer inserted comes out clean. Preheat oven to 220C / 200C fan-forced. Line a 12-hole muffin pan with paper cases. Add the flour, oat, cinnamon and sugar into TM bowl. Mix for 5 seconds on speed 4. Set aside, reserving 3 tablespoons of the oat mixture. Add apples to TM bowl and chop for 5 seconds on speed 4. Add the yoghurt, eggs, and oil to TM bowl and mix for 20 seconds on reverse speed 3. Add the dry ingredients to TM bowl and mix for 20-30 seconds on reverse speed 3, dropping the raspberries through the hole in the lid while the blades are moving. Remember, a lumpy mixture makes the best muffins!